Encourage the development of innovation in the city. The citizen and his challenges are the center of the transformation of the city, innovation is the vehicle to accelerate in the direction of results of great impact. The Porto Innovation Hub (PIH) is an instrument and an open space to all potential innovation agents in the city. It involves citizens from the most diverse areas, universities, schools, public institutions, foundations, companies and other entities, in the construction of a more innovative city and creativity, with a common objective of improving the quality of life of Porto citizens. Outdoors Innovation intends to contribute to the creation and development of technological, products, services, business and environmental innovation of the city of Porto. Through knowledge sharing initiatives among innovation agents in the city, PIH intends to be a vehicle for demonstrating the potential of innovation in the transformation of the city. Come discover landmarks of the city of Porto. The Stepping Out initiative, which is part of the activity of Porto Innovation Hub, aims to invite all citizens and visitors of Porto to discover historical sites and emblematic infrastructures of the city. Since the beginning of the first edition, Civil Engineering was the theme that launched this initiative and shows how innovation is present and how it participates in the construction of the city and in the modernization of society. Associated with the initiative, the Department of Civil Engineering of the Faculty of Engineering of the University of Porto and the Mostra of UP, a series of visits and conferences have been promoted to the community of Porto. Visits to the identified sites accompanied by the authors. Conference of the authors on the developed works, be they designers or researchers. Edition of a publication, Sebentas d’Obra, on the work under analysis. Discover the Sebentas d’Obra from 2016 to 2018 here. Identify the innovative role of Civil Engineering in the construction of our city. Show the technological side, but also civilizational, of the art of Construction and creation of infrastructures to support society. Be on the look out for upcoming visits to the Stepping Out initiative from Porto Innovation Hub.  Subscribe to our newsletter and receive monthly the agenda of visits and conferences to emblematic places of the city of Porto. We challenge you to be a part of this transformation for the innovation. Subscribe to our newsletter and keep up with the latest news.